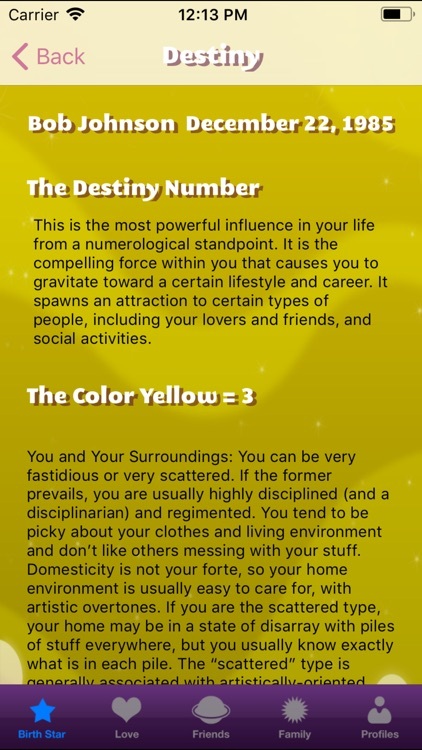 The Birth Star is a symbol, in vivid color, of your individuality, using the numbers derived from your birth date and birth name. It is intended to inspire you, motivate you to live up to your potential, as well as to allow you to get in touch with hidden desires. 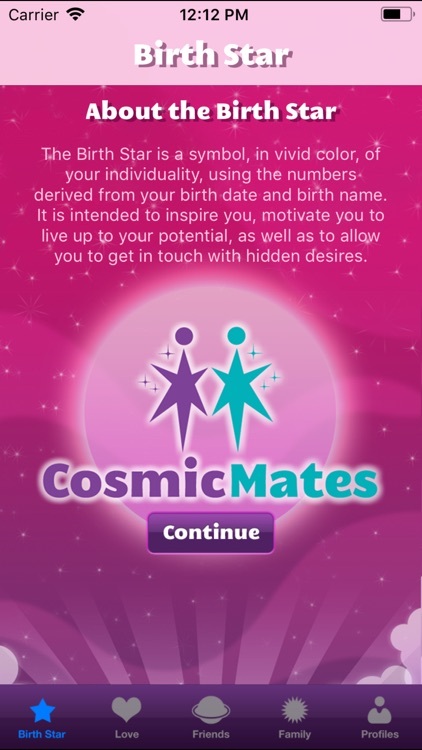 To get your Birth Star, Enter your name at birth if you know it, and your birth date. 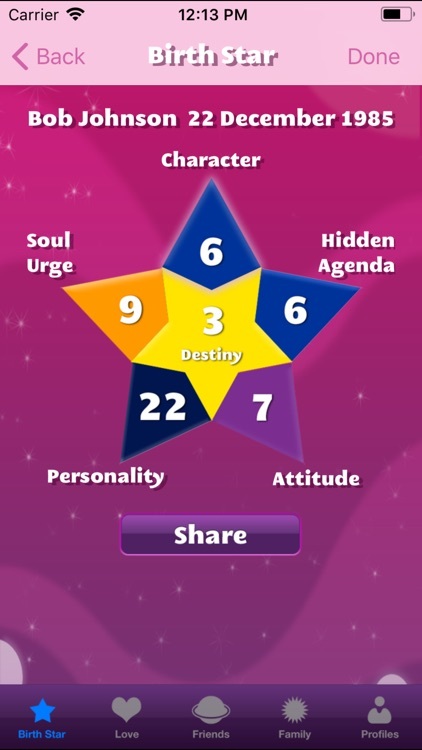 You will then receive a graphical rendering of your numerology chart in the form of a star. 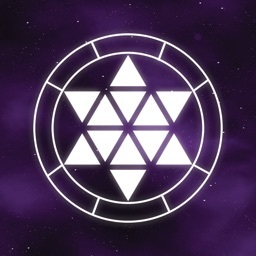 Each segment of the star represents an aspect of you. Tap on a star segment to reveal a full explanation about that aspect and the number that corresponds with it. 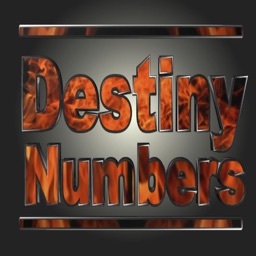 In numerology, all numbers can be reduced down to the numbers 1 through 9, 11, and 22. 11 and 22 are considered Master Numbers. They suggest an added potential or power in some individuals. 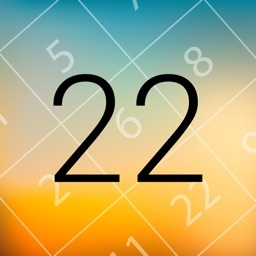 Tap the Share button to read your entire numerological chart all at once, if you prefer; in addition you can email the chart to whomever you choose to share it with. All Birth Star and Compatibility results are saved to a Profiles area. You can delete a profile at any time by swiping over the profile name in the profile list. 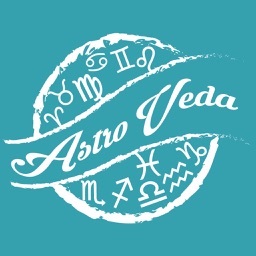 There are many factors that affect compatibility, from how personally content someone is, to how much money they may have in the bank, to the planetary placements in their astrological charts. 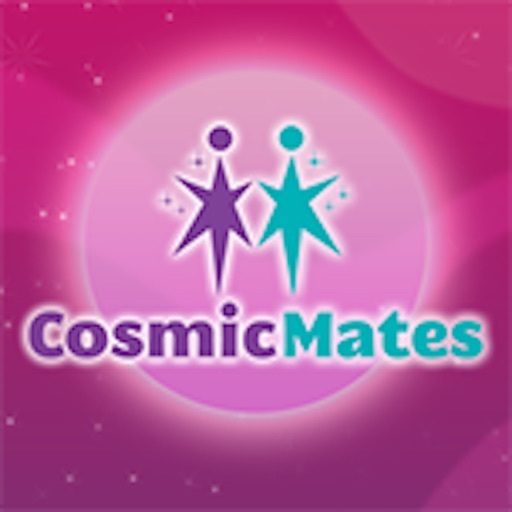 The Cosmic Mates charts are not wholly conclusive guides to compatibility, so don't be too disturbed if you and your mate don't end up with a score as high as you would hope for. However, if you take the time to read the definitions of the numbers associated with each person, you may begin to understand some of the reasons why your have or have not been able to get along with one another. 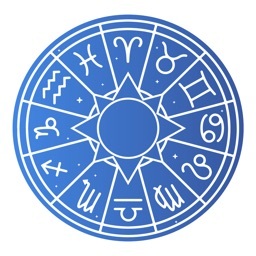 Your relationship is assigned a certain level of compatibility based on your birth star and that of the person with whom you are paired. Eight ratings are possible, with Level Eight being the rating of highest compatibility. You may notice when using this app that the rating of your compatibility with another person depends heavily on which person you enter first in the pairing. If you enter yourself first, for example, your compatibility calculation is based on the pairing from your point of view. If you were to switch the parties so that the other person is first, the rating results are from that person’s point of view. In some cases, you will get different ratings, which might explain why sometimes one person might have an easier time with the relationship than the other person, and vice versa.